Hamilton County Mayor Jim Coppinger is calling on the Hamilton County Commission to maintain the current millage rate. Coppinger says retention of the rate taxpayers currently pay on their property assessment would provide needed funding for economic development, education, public safety and infrastructure. At a press conference held on the lawn of the Hamilton County Courthouse Tuesday, Aug. 29, Coppinger said the recently approved balanced budget for fiscal year 2018 does not contain a property tax increase. This makes it the tenth consecutive year Hamilton County property owners have not seen a tax increase on their property. Coppinger also said several opportunities have developed that will require additional funds since the passage of the budget. For this reason, Coppinger is calling on the County Commission to maintain its current property tax millage rate of $2.7652. Coppinger said retaining the current millage rate would generate additional revenues of $25.5 million. This additional revenue would be directed to several areas, including a regional sewage treatment plant in the northeastern section of Hamilton County. “This regional sewage treatment plant, at a capital cost of approximately $45 million, would allow Hamilton County to expand its sewer system to meet the needs for growth in the northeastern section of Hamilton County. Coppinger said the plant would be operated by the WWTA, and most of the debt service for building the plant would be repaid by the WWTA ratepayers who use the treatment plant. The mayor also said some of the new revenue would be directed toward public safety by addressing overcrowding concerns at the Hamilton County Jail. “The additional revenues would be used toward funding the required debt service to upgrade the Silverdale service areas and to add beds at Silverdale,” he said. Coppinger then turned to the topic of education, saying he has met several times with new Hamilton County Department of Education superintendent Dr. Bryan Johnson, and the two leaders agree on the need to begin meeting some of the school system’s building needs. “A significant amount of the additional revenues would be used to build one or two new schools, expanding capacity at schools in high-growth areas and addressing some of the most pressing capital needs at several schools with new roofs or major roofing repairs, energy efficient windows and renovation of athletic tracks and athletic facilities,” Coppinger said. The mayor said the specific projects would be determined by the Board of Education. “I have discussed these opportunities with several of the County Commissioners over the last few weeks, and I believe now is the best time for us, along with the school system, our business leaders, our economic development team and the community, to meet these needs,” Coppinger said. On Wednesday, Aug. 30, Coppinger presented two resolutions to the County Commission relating to the millage rate: the first would reduce the county’s millage rate to the certified tax rate of $2.4976. 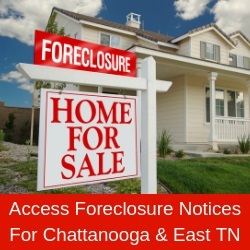 This resolution is a result of the property reappraisal process required by the State of Tennessee every four years. The second resolution would reset the millage rate back to $2.7652. This would be an increase of 26.76 cents. A public meeting to discuss the need to exceed the certified tax rate is scheduled for Wednesday, Sept. 6 at 8:30 a.m. in the County Commission meeting room.